#sunsellapastryscraper I recently received the Sunsella Stainless Steel Pastry Scraper & Chopper to try out. I love it! It's like having several kitchen tools in one. It's a scraper, which is great for working with pastry dough, but it's also a chopper. It has a sturdy engineered blade that won't tarnish over time. 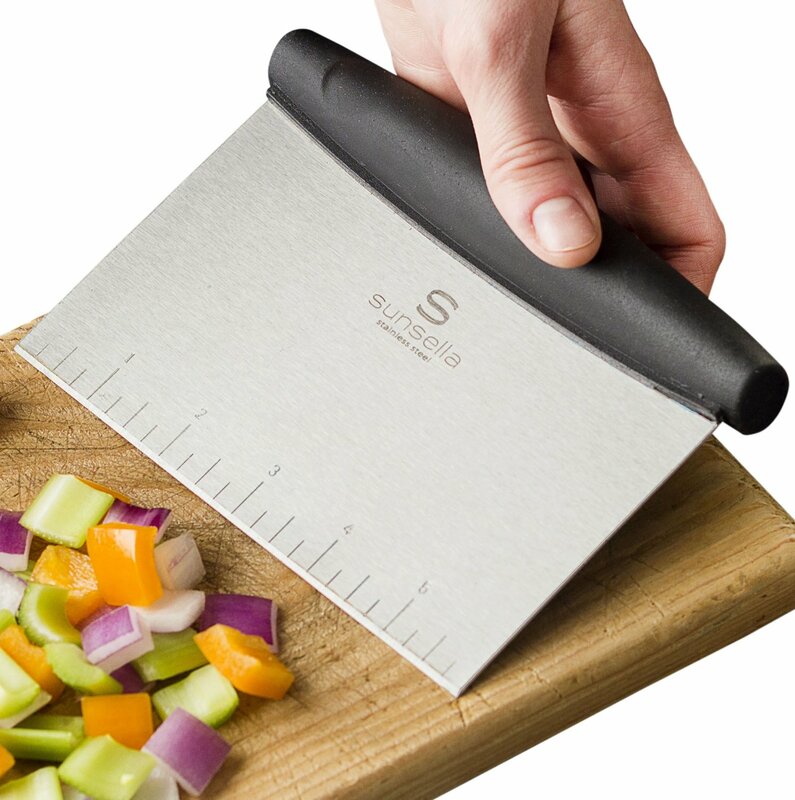 A machined edge that makes chopping and dicing vegetables or meat so easy. It also has rounded corners so it won't dig into your counter or cutting board.There's measurements pressed into the blade so they don't wear off . The blade is high quality stainless steel and the handle is comfortable to use. It's a hard wearing rubber handgrip that's ergonomically designed so it fits nicely in your hand. And it's dishwasher safe for easy clean up. I think this is a great addition to your kitchen tools plus it would great as a bbq tool too.